This dry wine red produced in the heart of Basilicata by a cooperative attentive to quality has a winy yet delicate scent that is vaguely reminiscent of violets and fruits of the forest. "The web wine shop - Let's tell the truth: what best than sitting at the table, chatting and eating with friends, together with a good glass of wine? You can find a good selection of labels, to be bought exclusively online, at the renewed Wineshop.it, one of the reference sites for wine lovers. Among the new features there is the completely automated stock management. 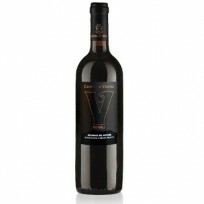 Moreover the sites automatically suggests to customers the new vintage of a wine when the old is over. Also the management of the interesting site newsletter has been improved."